Seven has revealed details of its 7Live app for the Paralympic Games in Rio, which kicks off with the Opening Ceremony at 7:00am AEST on September 8 on 7TWO. 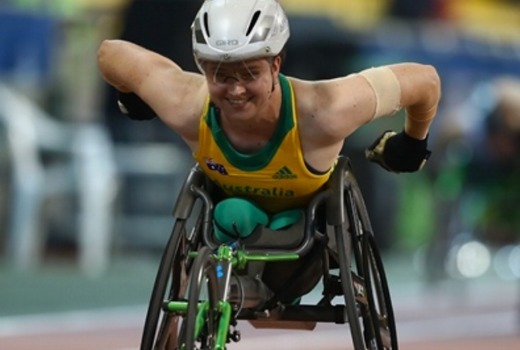 The 7Live app featuring Paralympics is free and includes streaming of Seven’s coverage available on 7TWO. Kurt Burnette, Event Director, Olympic Games and Commonwealth Games, said: “We will deliver a coverage that takes every moment of the Paralympic Games to all Australians across a range of digital devices. The new app is created and developed as part of Seven’s suite of digital products for iPhone, Android and the web. It is available from today in the app store, Google Play or at www.7live.com.au. It will include a live simulcast stream of 7TWO’s extensive and exclusive coverage of the Paralympic Games along with medal tallies, profiles of the Australian athletes and video on demand highlights. The live streaming of Seven’s coverage will also be available on multiple devices through PLUS7 and the 7Tennis app. Seven will also be delivering coverage and engaging with fans via 7TWO’s social channels on Facebook, Twitter and YouTube. All of Seven’s content will be free to all users on all devices. Seven’s agreement with the Australian Paralympic Committee delivers free broadcast television and premium television rights, and expands beyond television to Seven’s digital platforms. Seven is creating a model to deploy its Paralympic Games content and coverage across an array of platforms – each leveraging, complementing and extending the network’s broadcast television coverage. Seven’s plans for enhanced digital viewing for its coverage of the Paralympic Games builds on the success of the network’s digital television coverage of The Olympic Games in Rio. The athletes profile section is fantastic. Gives an overview of each athletes impairment and the events and categories they compete in which will come in very handy when watching. Interestingly the Olympics on 7 app has updated itself to become the 7Live app.